Rust stains are a pain to the eyes whether they are on your house, driveway, or really anything that you and other people see. 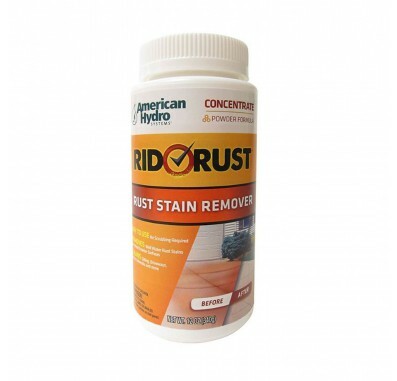 Yet, removing the rust stains begins with a rust stain preventer--but what if you already have rust? 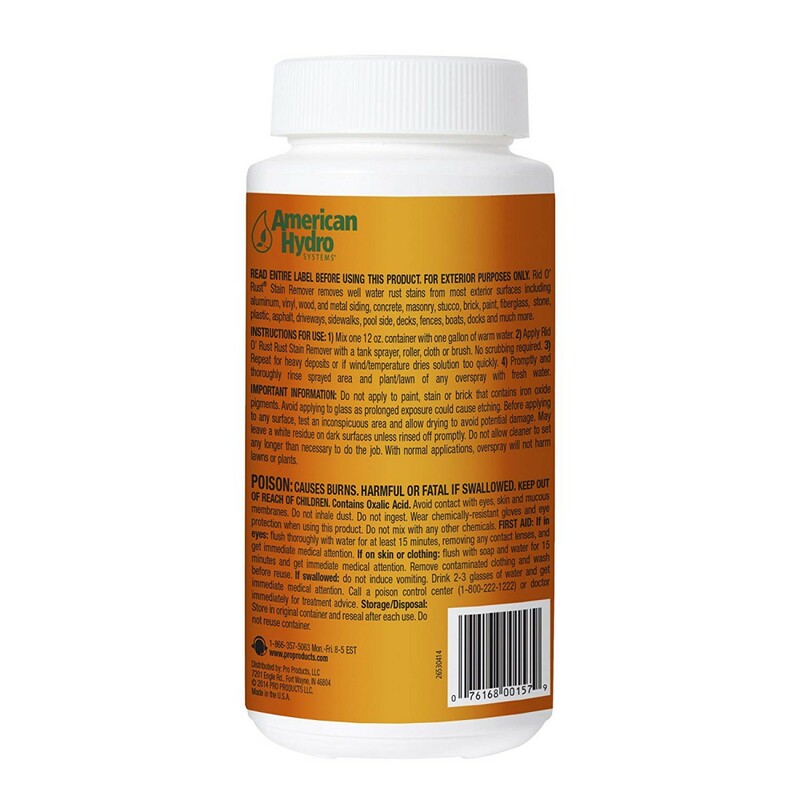 Rid O Rust Stain Remover by Pro Products will come to your rescue with its nubile powder formula that mixes with ease! It's safe, it's biodegradable, it's perfect for the job!